Wash and clean the clams well and boil it in little water ,the clams will open discard the empty shell we need the one with the flesh/meat. Then add chopped tomato and saute till it turns soft . 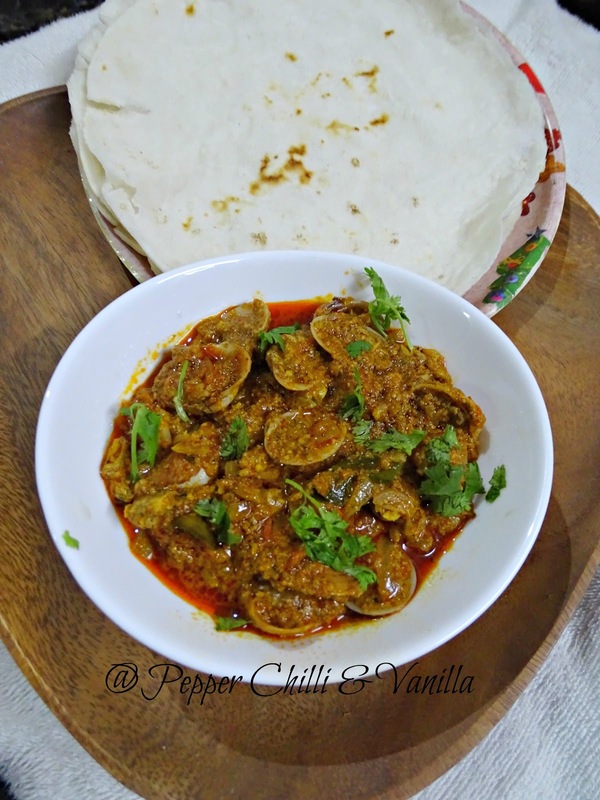 Add the haldi/turmeric powder red chilli powder/bottle masala/fish masla and garam masala powder. Add salt and freshly scraped coconut . Then add cleaned clams and about 3/4 cup to 1 cup water and cook over medium flame . 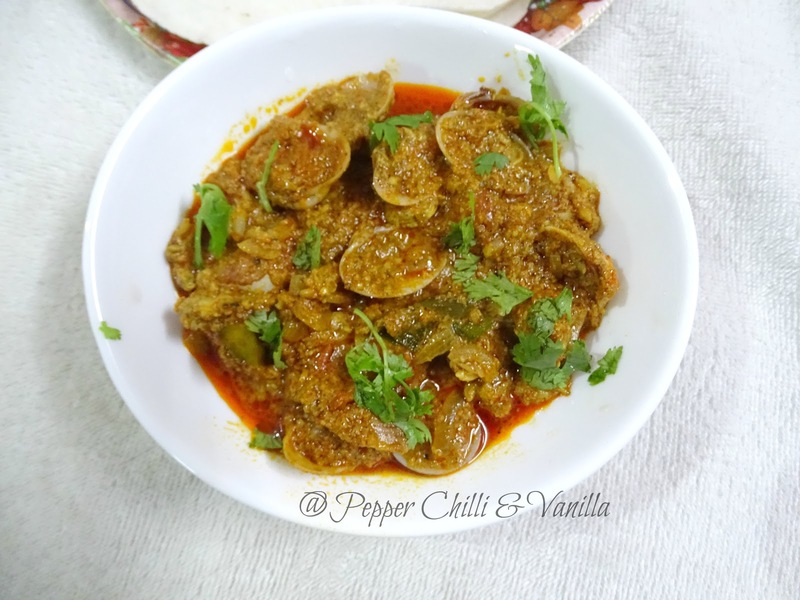 Lastly add tamarind pulp or kokam. 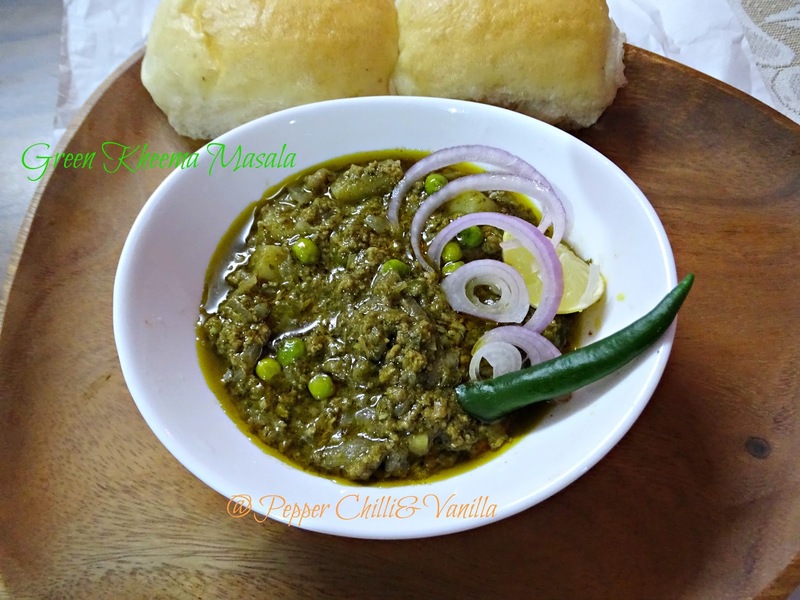 Garnish with coriander leaves and serve with hand breads/bhakri/chapati or rice. wash the clams atleast 4 to 5 timese in running water ,make sure all the residual of mud if any is washed off. 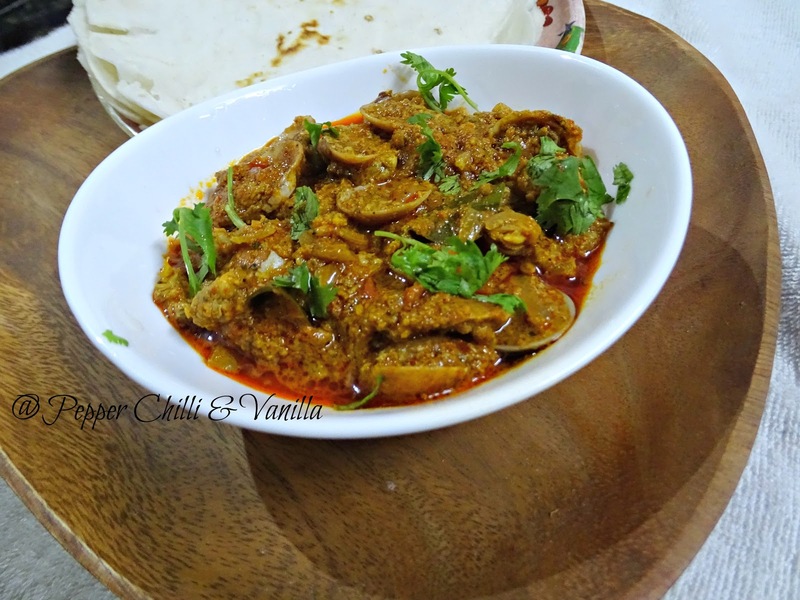 you can also coarsely grind the scraped coconut and then add. 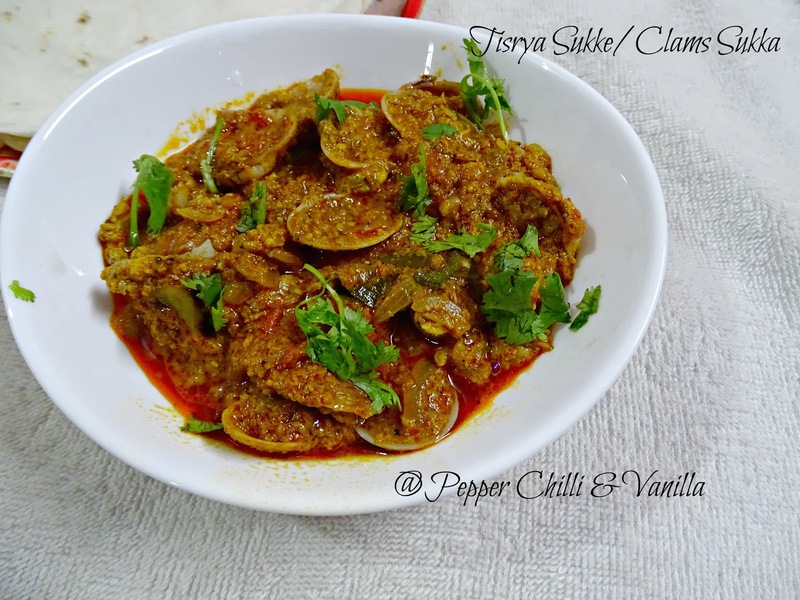 the clams can also be boiled or just kept in hot water for 15 minutes ,it will open up . 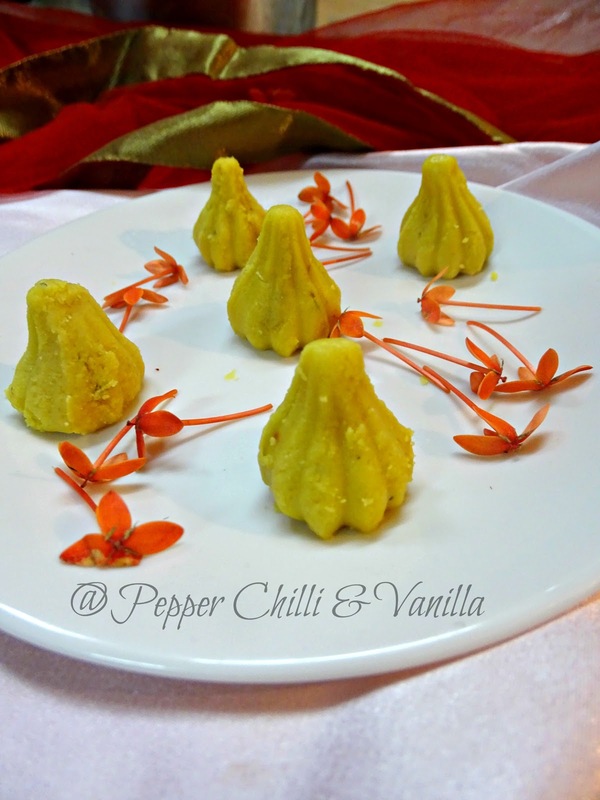 The traditional Ukdiche modak which requires a little skill and practise to get perfect. 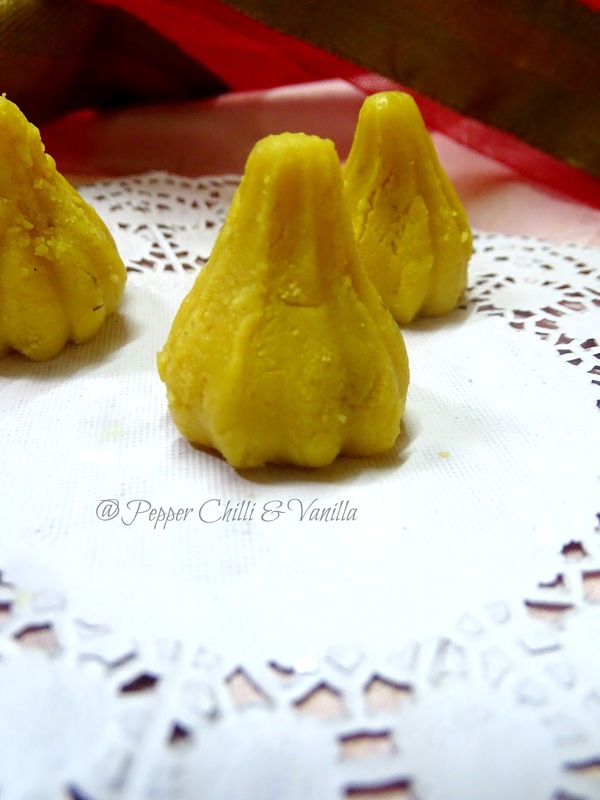 Its my favourite my mom makes super awesome ukdiche modak..ill share that later in the blog. 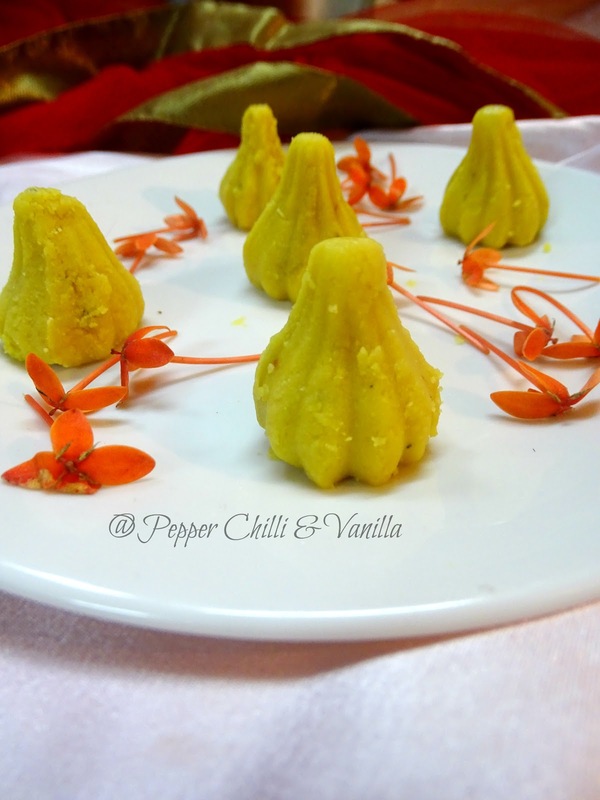 Since making this mawa modak is easy and doesn't require any laborious task I chose to make this and share it in the blog today. 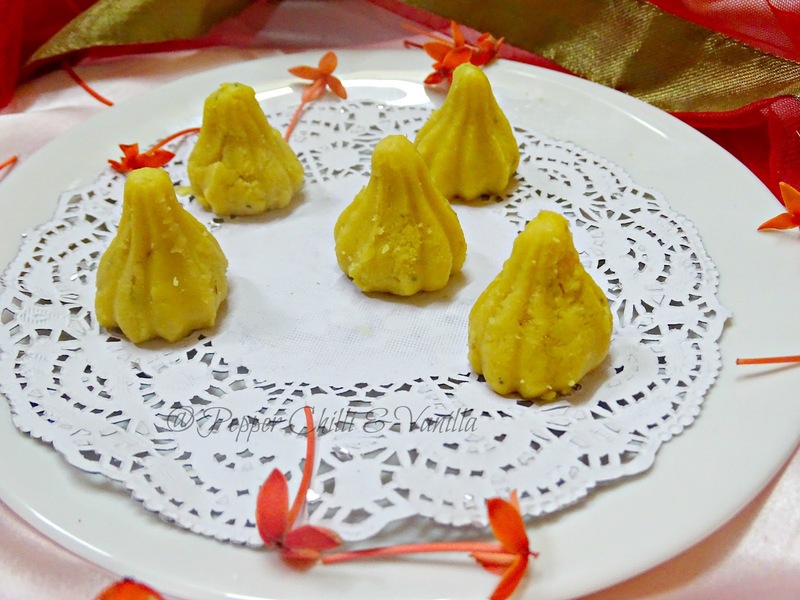 You can make these super easy and delicious modak today and offer it to Lord Ganesha.You will just need basic ingredients, modak mould which is easily available in any store this season. 250 gm mawa /khoya/mava /evaporated milk solids. Few strands of saffron soaked in 1 tbsp warm milk. Heat a non stick pan,add the mawa and roast over low flame for 2 min. Then add sugar ,cardamom powder and saffron soaked milk and stir continuously to avoid it getting burnt. The mawa will melt and start leaving sides. Switch the flame off and transfer it on a plate . 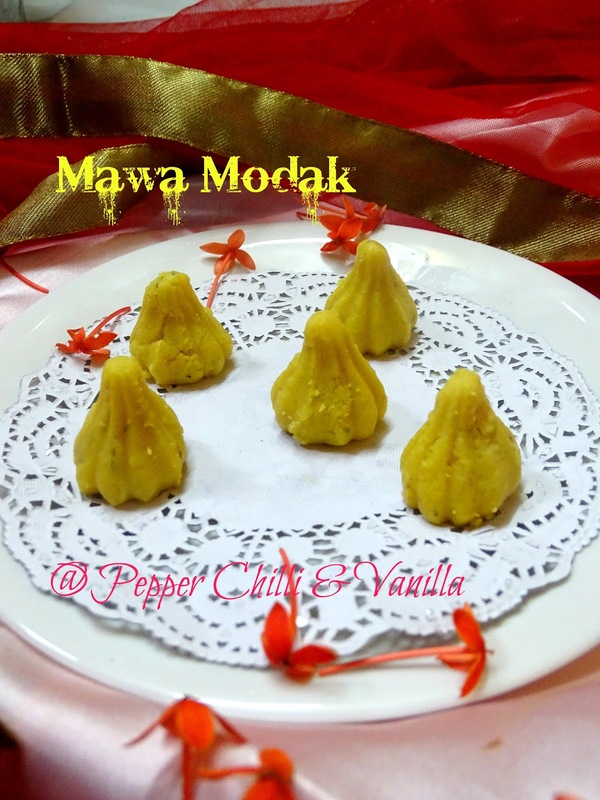 Divide into small balls and shape it into modak using the modak moulds. 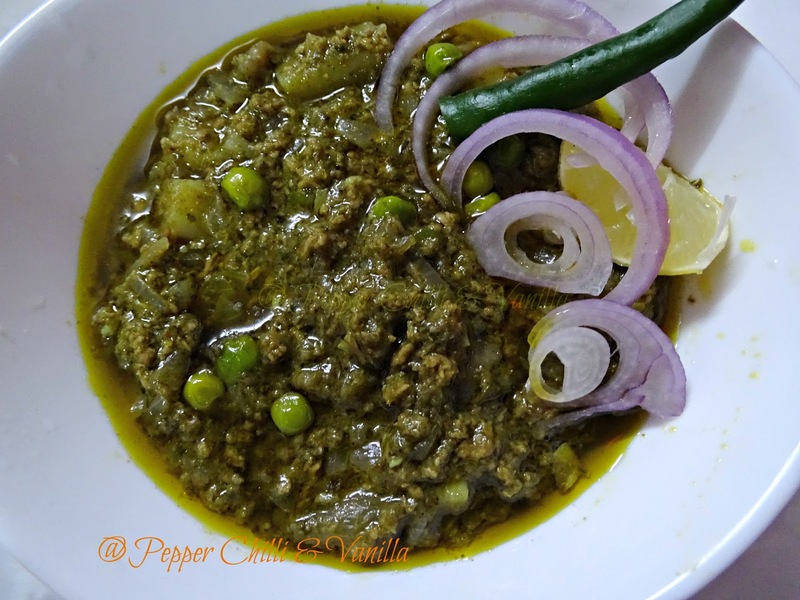 Hara Kheema/Green Kheema/keema masala is one of the most loved dish at my place we love to have this with naan/pav .Green masala adds a very nice flavour to the kheema .To make it more healthy i always add methi or palak/spinach.you get lovely green colour plus its always good to add leafy veg in your diet .So i try my best to include veggies whenever i make non veg. Serve this with anything with naan/roti/pav it taste best with anything.I have made this with mutton/goat meat mince you can use beef/chicken as well . 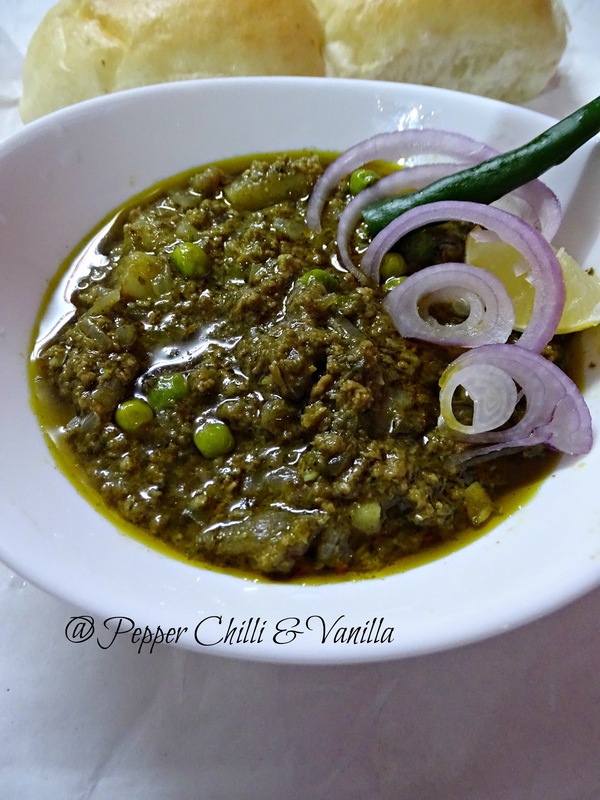 now add in the ground green paste . saute well for 7 to 8 minutes over medium flame. 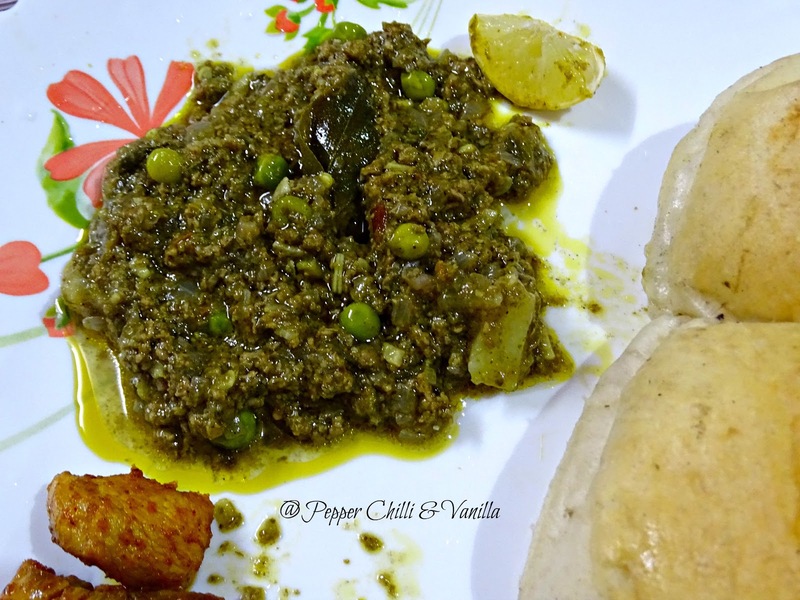 add green peas cubed potato and about 1 cup water and cover with lid and cook over med flame. 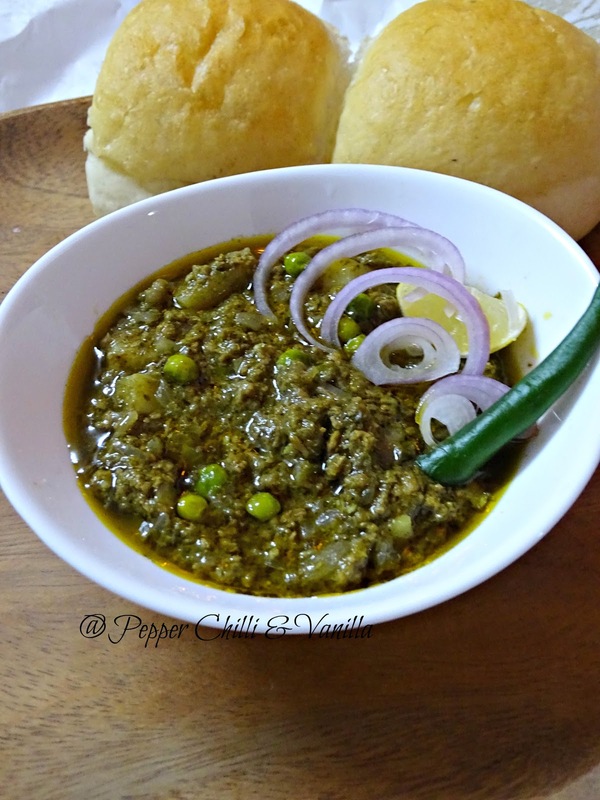 serve hot with pav/naan /roti with lemon wedge and some onion rings.